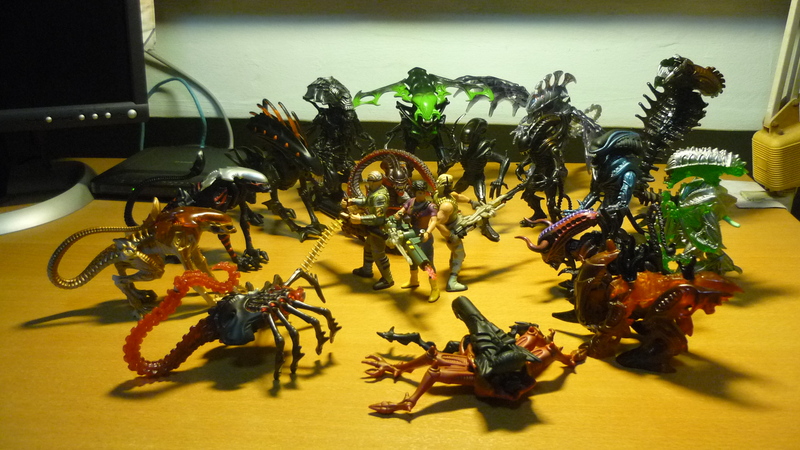 For some reason, my Aliens vs. 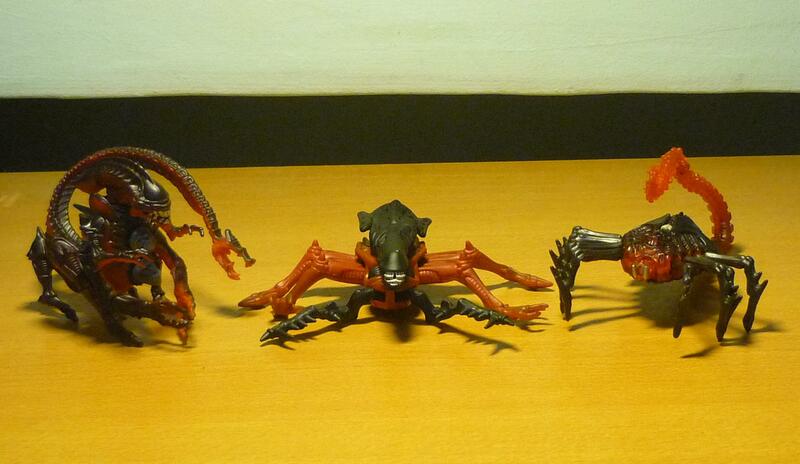 Predator figures (showcased here, here and here) draws some of the top views on my blog. 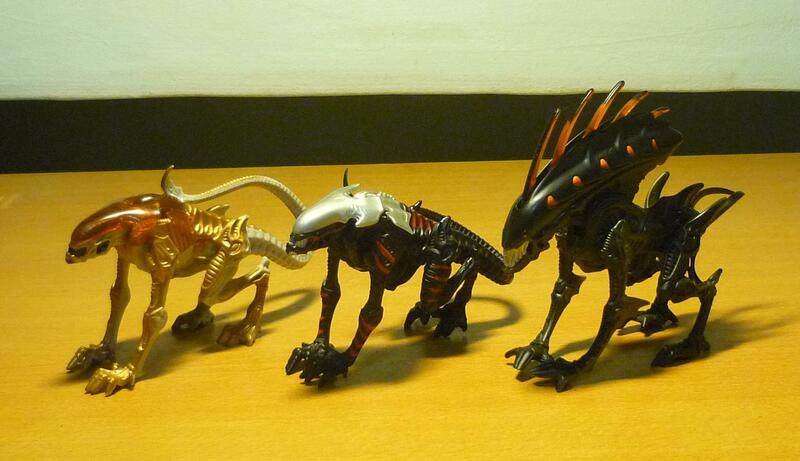 During my toy hunts at the local toy flea markets, I am always on the lookout for the AvP figures which I still lack. And when I find such figures I will try to acquire them, provided that they are still in good condition, and that the price is reasonable. On such a visit, there was a seller who was clearing off his AvP figures, and I took the opportunity to expand upon my AvP collection. 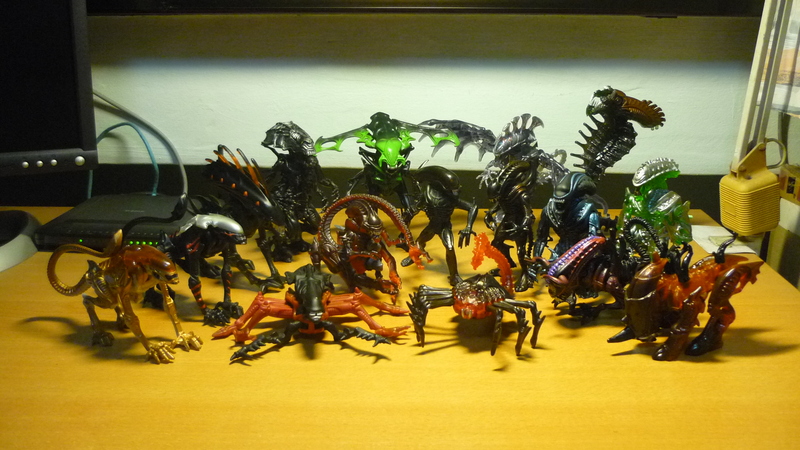 So here’s my showcase of my updated Aliens collection. A recap of previously showcased Aliens. 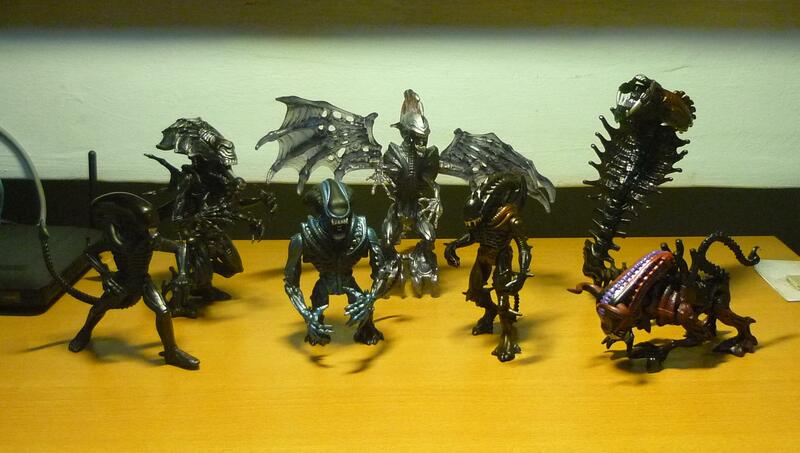 And here’s my new Aliens additions! Notice that “Panther” and “Night Cougar” share the same sculpt. 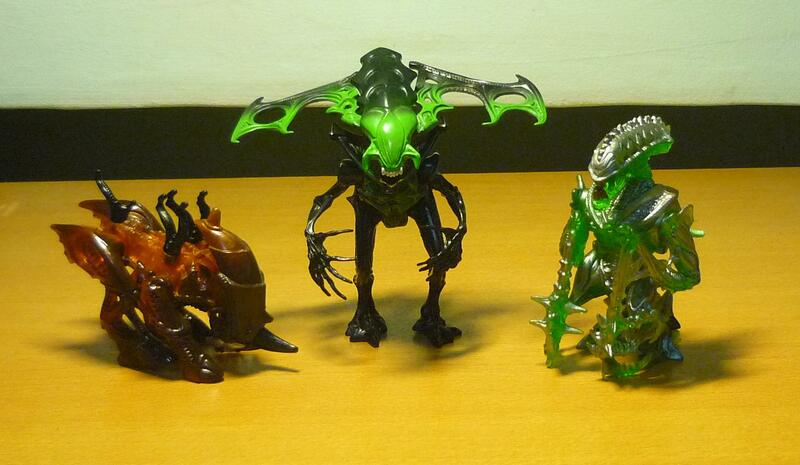 As I understand, these Aliens were based on the 1990s AvP comic series. The Aliens (also known as the Xenomorphs) take on the characteristics and abilities of the host creatures from which they hatch. The existence of the “King Alien” is rather curious since the Aliens mythology (as seen in the movies, books and comics) usually deals with the concept of the queen, as personified by the “Alien Queen” and “Flying Alien Queen”. Also, the presence of the “Queen Face Hugger” is interesting as most of the time, the face huggers would have quickly latched themselves onto the host creatures to produce the next generation of Aliens, instead of growing into a queen-sized hugger itself. I’ll confess, I haven’t been putting particular emphasis on collecting the rest of the colonial marines, mainly because I think I’ve yet seen any of the missing human characters on sale here. And you’ve got to admit, the Aliens and Predators are way much cooler.